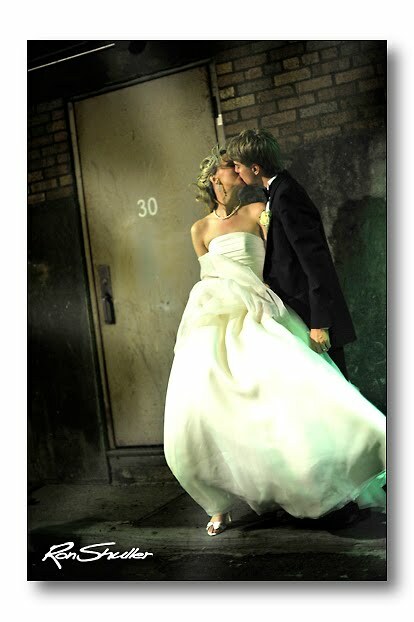 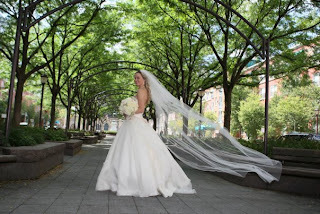 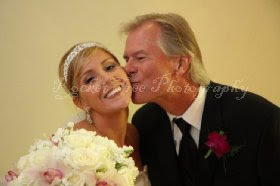 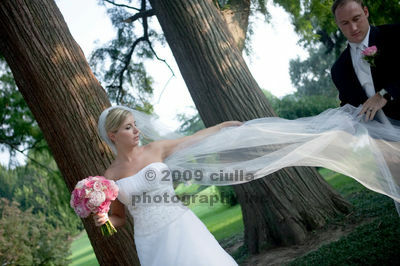 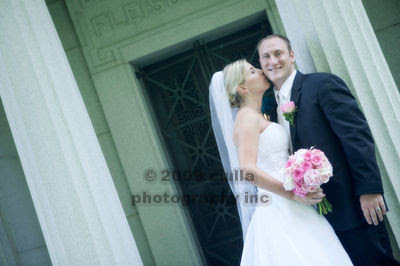 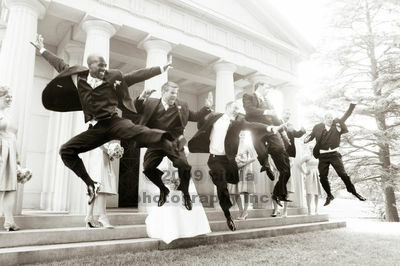 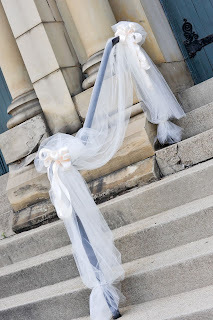 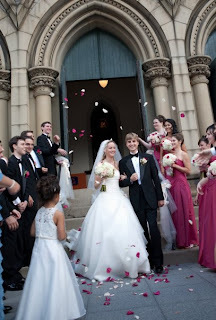 Caroline and Christopher are too cute of a couple as shown in these photos by Ron Shuller http://www.weddingsandmore.com/. 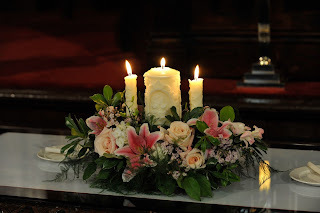 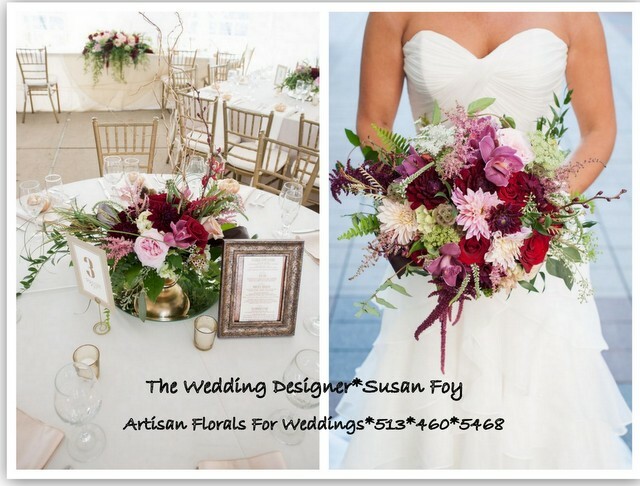 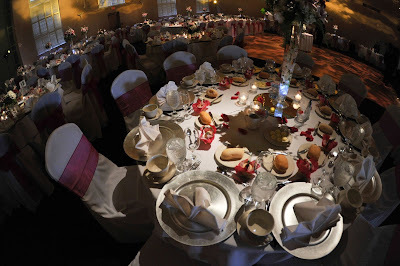 Unfortunately, I never had the opportunity to meet them since they were away at school, however thanks to the collaberation of Caroline's mom and dad, Maria and Terry, the wedding florals were a big hit. 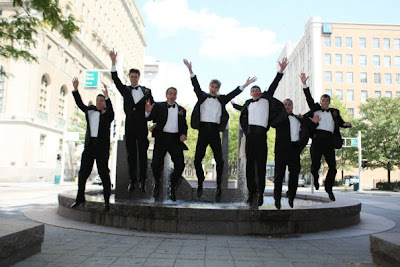 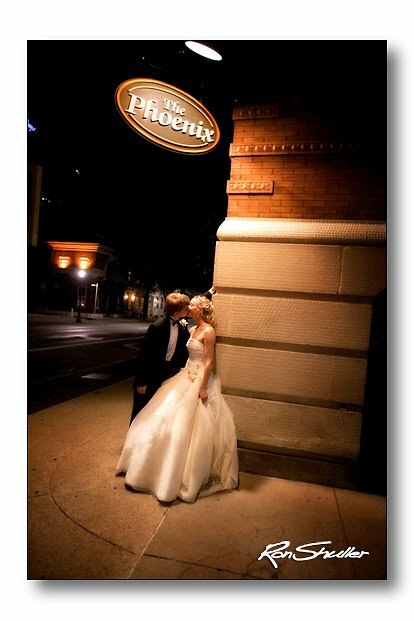 The ceremony took place at the historic Covenant First Presbyterian Church and the reception was held at The Phoenixhttp://www.thephx.com/. 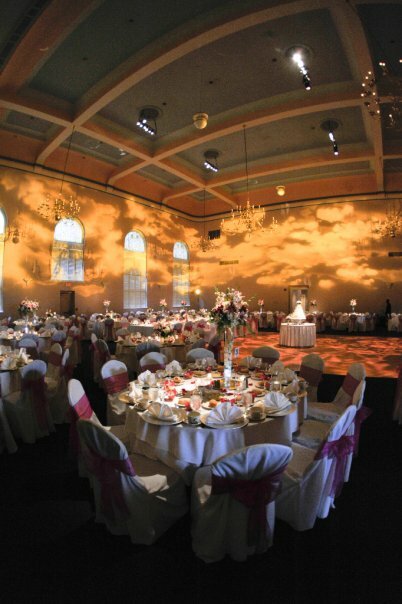 The incredible lighting for the hall was done by no other than Goodwin Lighting-http://www.goodwinlighting.com/-what a difference they can make in a room! 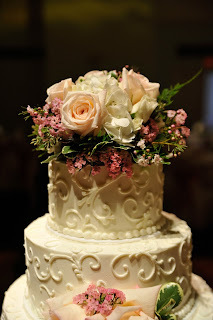 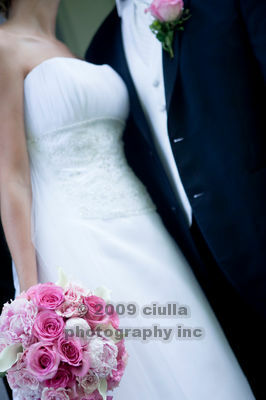 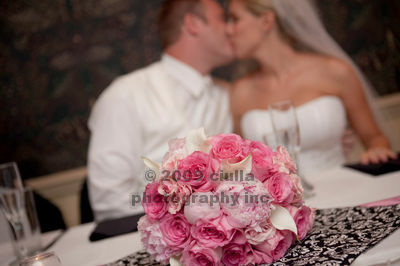 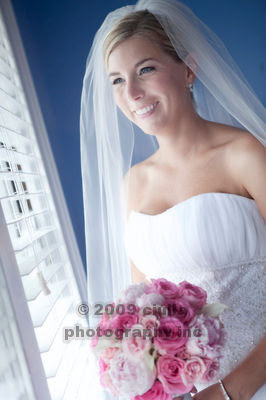 Caroline's bouquet was a soft romantic mix of white hydrangea, white roses and accented with blush pink rose. 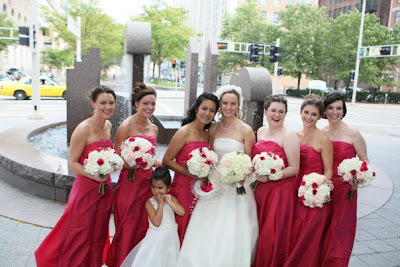 The girls carried white hydrangea with accents of raspberry roses and blush pink. 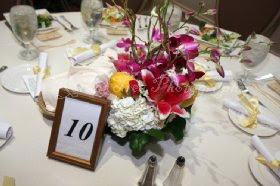 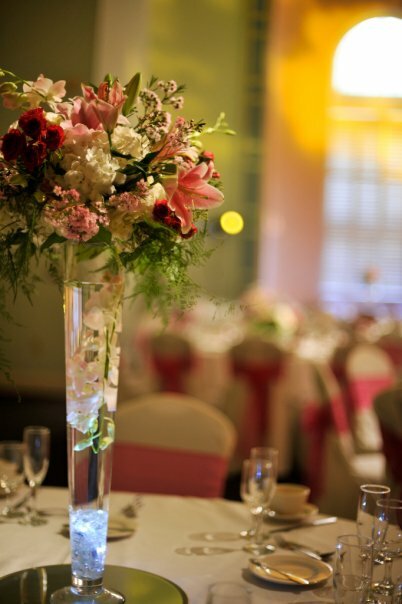 The centerpieces were a full mix of pink and white florals illuminated by submerged lights in the tall vases and accents with blush pink orchid sprays. 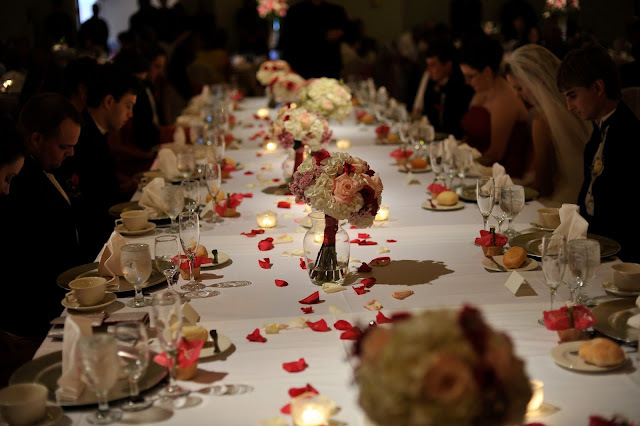 The lighting created clouds and florals on the walls and flooring. 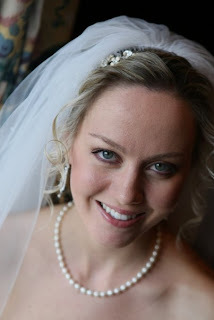 I met Jenny while in consult with her sister, Stacey(in next post). 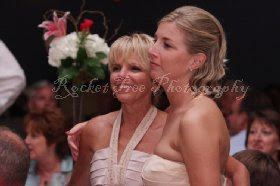 I later got a call that Jenny was not only engaged but also getting married in June before her sister's wedding in August. 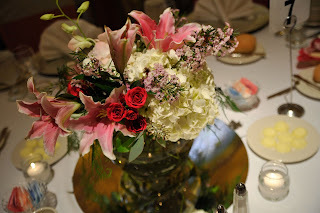 I don't think it caused any sibling rivalry-(that Im aware of) They come from a large close family and just gave them more to celebrate. 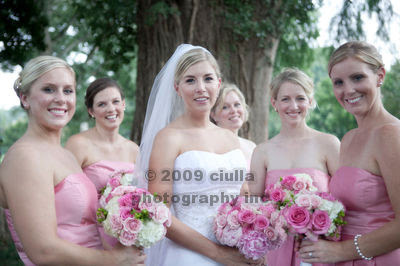 I'm currently in consult with 2 other family/friends of the girls-gotta love a big family! 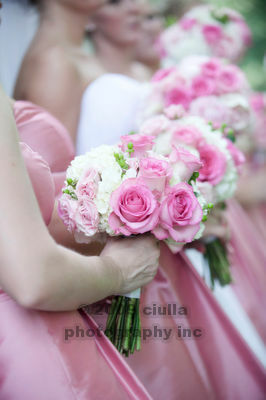 Although, both sisters were very particular in the choices of pink flowers- I think their needs were met and they were both a pleasure to work with. 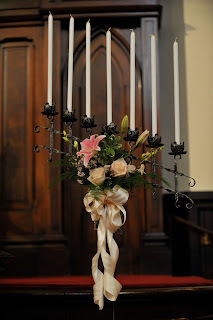 Jen sent me these photos taken from her facebook page- Photos taken by Rocket Tree Photography rockettreephoto.com. 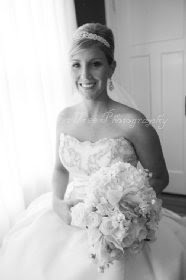 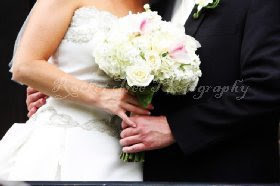 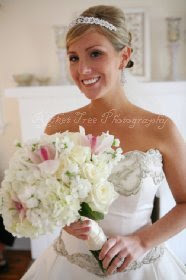 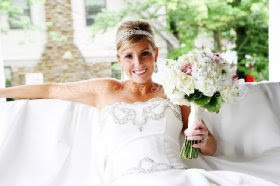 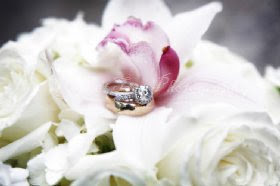 Jen's bouquet was a creamy mix of white hydrangea, roses, stock and blush pink cymbidium orchids. 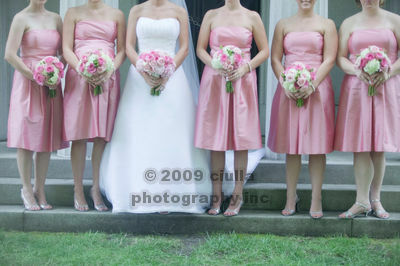 Her girls carried a mix of pinks in lily, stock, hydrange and roses to compliment their pale yellow dresses. 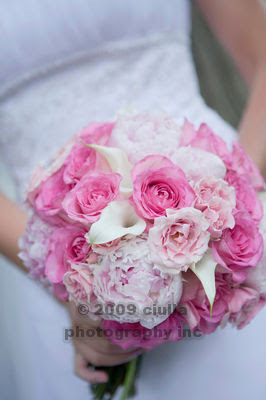 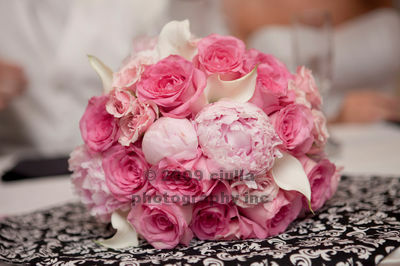 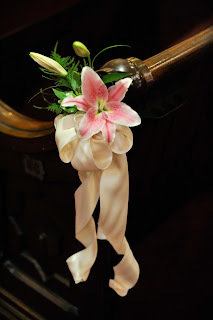 The bridal bouquet was a beautiful mix of peony, mini callas and pink roses. 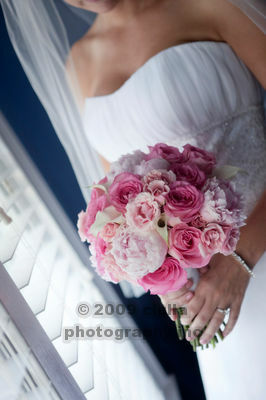 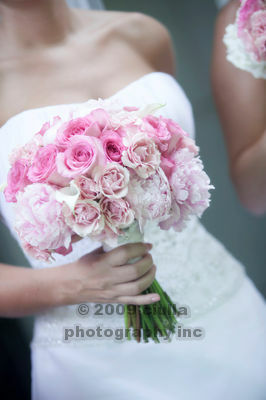 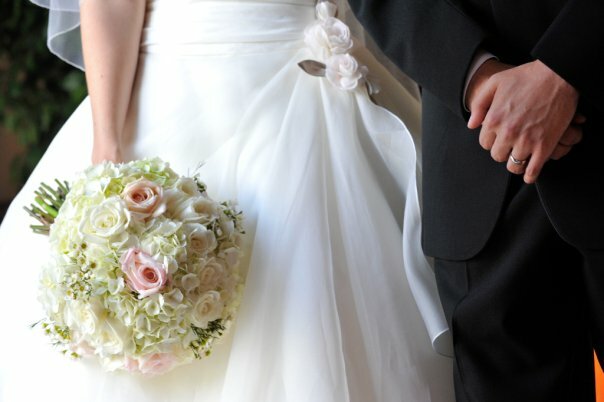 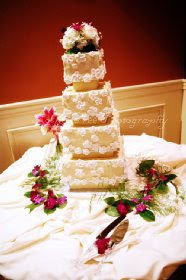 The girls carried white hydrangea and a mix of bright pink roses and pastel spray roses. 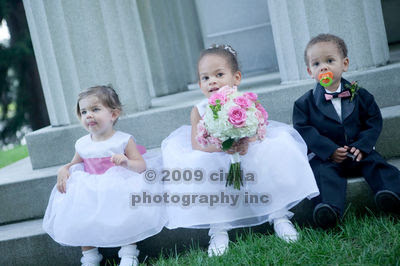 I think this little one wants to be next.